This week, Your News to Know rounds up the hottest stories involving gold and the overall economy. Stories include: Mining mogul Frank Giustra’s grand return to gold, 9.5 trillion reasons gold and silver are looking more lustrous than ever, and how much gold Americans own. Frank Giustra is no stranger to gold; while the entrepreneur has a diverse history of companies built from the ground up behind him, Giustra remains outspoken in regards to the metal and its place in the world. The executive’s latest undertaking in precious metals involves the acquisition of a $350 million gold mine. “Wall Street has done a good job of talking down gold and labeling it a barbaric relic,” he told Kitco in a recent interview, strongly suggesting that gold is being kept down by governments who will say anything to maintain support for their financial systems. Giustra added that gold is the one asset people are going to want in their portfolio when the system starts to collapse, urging market watchers to not pay attention to Wall Street sentiment on the metal. “When everything else goes wrong, which it will, one way or another, gold will be the only real asset left that will also not only act as a store of value, but a currency…it’s your hedge against the world going bonkers,” he said. Despite prices being kept in check by the Federal Reserve’s recent actions, physical gold and silver have rallied to gain $300 an ounce and $7 an ounce, respectively, since early 2016. Investors who are focusing on higher bond yields in recent times are overlooking a major factor that could serve as the next big catalyst for higher bullion prices, and which may also have disastrous ramifications for the economy. The ever-growing sovereign debt has now reached $9.5 trillion, with its negative-yielding interest rate increasing in May by 10.5% over the previous month. The U.S., along with Switzerland, Germany and Japan, is forcing its bondholders to pay to store money. Aside from threatening to explode into the next recession, rising debt also serves as a powerful way of eroding investors’ confidence over a country’s growth, giving rise to even higher gold and silver prices. America might be the most surveyed nation in the world, but details on how much gold Americans actually own are scarce. However, it’s clear that the citizens have a favorable view of the metal: Writing in the LA Times, James Ledbetter reminds us that 34% of respondents in a 2011 survey deemed gold the best long-term investment. Although the view of the metal has somewhat shifted since the culmination of the crisis in 2007-08, a 2017 survey demonstrated that gold continues to rank highly on the list of best-perceived investments. 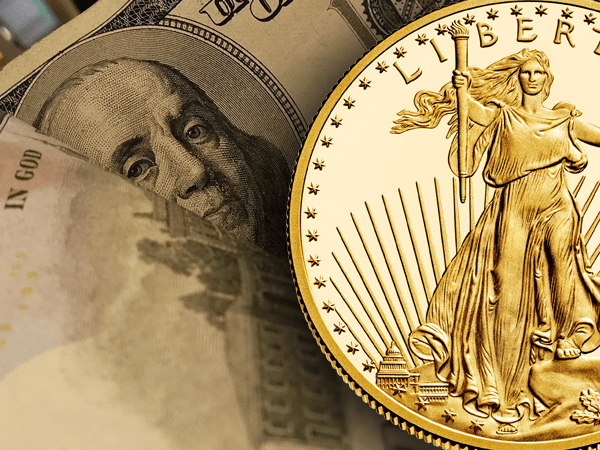 Numbers from the U.S. Mint paint a reasonably clear picture as well, with an estimated $1.2 billion worth of American Eagle and American Buffalo gold coins having been sold in 2015. Despite these telling numbers, it’s still difficult to ascertain how much gold Americans are buying. A look back on the Hoover administration’s crackdown on gold bullion shows officials estimating the private gold hoard of America’s residents to be worth $1.4 billion, which, at the time, would have amounted to double the reserves of the Bank of England. After efforts to purchase all the gold in circulation, the government still reported that some $287 million worth of gold coins remained in the hands of their owners. Some insiders, including Ledbetter, believe that 10% of Americans own gold, while others place the number between 1% and 3%. This wide range of estimates means that the amount of gold owners in America could be anywhere between 2.5 million to 25 million.